Your CV is often the first time an employer will gain a sense of the person it represents so make sure it reflects you. This doesn’t mean you have to come up with weird and wonderful colour schemes or images, in fact avoid doing this at all costs! Instead, think about subtle details you include that give a hint about who you are and will make the person reading it want to meet you. A personal profile at the beginning of your CV is probably the easiest way to do this, just keep it to one paragraph though. You might also want to include interests but try to make sure that they are things other people can identify with – sports, cooking, travel, architecture, music etc are all good things to include but if you’ve got something that is a bit more of an acquired taste then it might be best to save this for when you get to know them a bit better! The people who will be reading your CV will almost certainly have a pretty good idea of what your job description would be based on the title of your role and the organisation you are working for so you don’t need to give a blow by blow description of it. A short paragraph to state the key and most interesting/relevant aspects will suffice. It is vital though that you include details of the projects/schemes you have worked on and the part that you specifically played. Unless the projects are confidential, try to include as much information as possible including the client, the location, any particularly complex issues and what stage the project is at now. This enables a potential employer to see exactly what you’ve been doing and will also help them to envisage you working on similar projects for their company. Don’t worry if your CV is 3 or even 4 pages long, it’s a total fallacy that a CV should only be two sides. You may find though that if you’re in the early stages of your career it will naturally be closer to 2/3 pages, whereas if you are an experienced Director you may even go onto 4/5 pages. Your employment history should be set out in chronological order (most recent first). You should write your education/qualifications below your employment history. Other sections can also be included, such as a personal profile, interests and client/project lists – but don’t forget the two most basic elements: employment history and education/qualifications in that order. It sounds so obvious but ask your friends and family to read your CV, they will almost certainly pick up on typos that you might have missed and will also be able to tell you whether it reflects you well. I had the pleasure of working with KDH. I would not hesitate to recommend them to anyone who needs an energetic and motivated talent searcher. We had specific requirements for our growing team and they not only went out of their way to understand our bespoke needs but also showed a phenomenal tenacity to find the appropriate individuals. Now I know if I need an experienced individual to join our team, KDH is my first port of call! “I cannot thank the team at KDH enough for helping me find my new role in London. I was nervous about relocating from Australia to the UK, but working with KDH made the whole process much smoother. I was impressed initially when I first spoke with them via telephone while still in Australia and even more so when I met the team upon arriving in London. 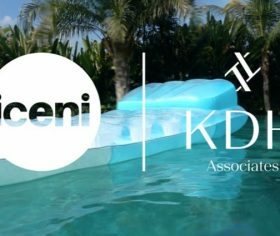 KDH are very personable, informed and their knowledge of the industry and various firms throughout London and further afield made me feel confident that they were identifying roles that would be a good fit for me. “ I wasn’t looking for a job when I was approached by KDH Associates. I found they made an effort to get to know me and with no pressure at any point, they managed to seize my attention for a job that they thought I would be a perfect fit for. I have now been at LDA for six months and I am absolutely confident that I made the right decision.